SPiCE VC, a completely tokenised venture capital fund, announced this Monday that it has made a strategic investment by taking a stake in Archax, a yet-to-be-launched institutional digital securities exchange, which will be based in London. Once launched, Archax will facilitate the trading of all types of security tokens globally for institutions and professional traders. The exchange is planned to go live sometime this year. Furthermore, Archax is also planning its own security token offering later this year, where it will tokenise and offer for sale part of its own equity. Commenting on the investment, Ami Ben-David, Co-Founder and Managing Partner at SPiCE VC, said: “When we started SPiCE, security tokens were in their early stages. By tokenising ourselves and investing in key infrastructure plays in the security token ecosystem, we have become widely regarded as pioneers in the space. By using distributed ledger technology (DLT), digital securities, also referred to as security tokens, are when real-world assets are “tokenised”. Separate to the cryptocurrency industry, and therefore not prone to move as virtual currencies do, digital securities are a growing nascent industry. “We see the tokenisation of assets as the next significant step in the evolution of the digital asset world and something that could potentially revolutionise traditional financial markets too,” added Graham Rodford, CEO and co-founder of Archax. “Whilst looking for seed investment we were keen to find a partner who understood and believed in the digital securities space and could add value to our initiative. SPiCE is exactly that kind of partner. We look forward to working together to build out and evolve the infrastructure and systems that the digital securities ecosystem needs,” he added. 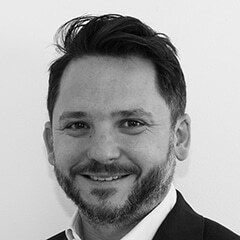 As part of the investment, SPiCE VC’s co-founder Ami Ben-David will join the Archax Advisory Board. Ben-David has a suite of experience in the technology industry spanning 25 years.